Small and dismountable this captain´ walking stick helps you find the way home, when needed. - Elegant and unbelievable practical. 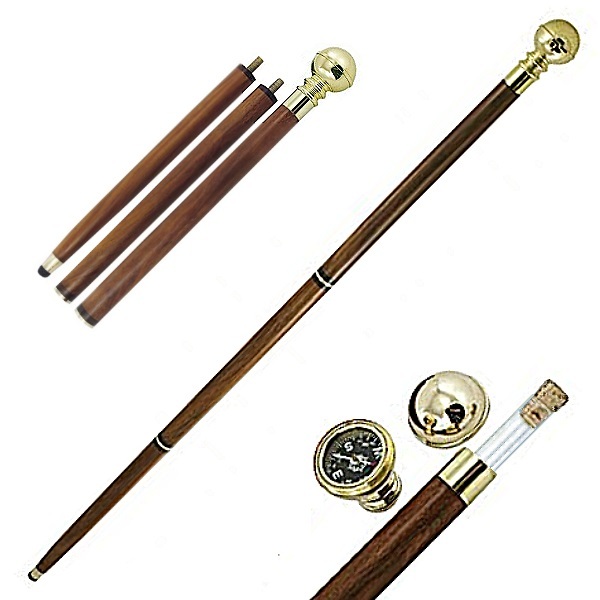 - The original of this walking stick was whilom manufactured for Prince Edward. His umbrella and walking stick manufacturer worked in a little secret vial, so that Queen Victoria, Edward´ mother, wouldn?t notice his stealthily sips. By turning off the cap of the knob, you will find the additional compass for the way home. - Walking Stick Captain´ Cane, dismountable, with secret vial and compass, l 92 cm.